Rodney J. Brown (BS ’72) is the new dean of the College of Biology and Agriculture. 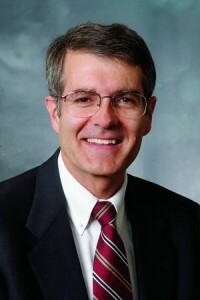 Before his appointment as dean, Brown was deputy undersecretary for research, education, and economics for the U.S. Department of Agriculture. He replaces R. Kent Crookston (BS ’68), who is returning to teaching and research. A children’s book written by Michael O. Tunnell (EdD ’86), professor of teacher education, received the 2004 Book of the Year Award in the children/youth category from the Utah Center for the Book. A fantasy novel based in ninth-century Arabia, Wishing Moon is one of 10 youth books authored by Tunnell. 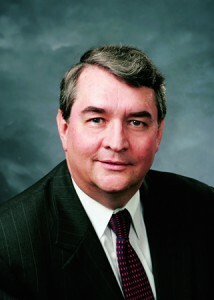 Alan R. Parkinson (BS ’77) is the new dean of the Ira A. Fulton College of Engineering and Technology. Parkinson replaces Douglas M. Chabries, who will serve a mission with his wife, Ada, in Croatia for The Church of Jesus Christ of Latter-day Saints. A new study by Larry J. Nelson (BS ’94), assistant professor of marriage, family, and human development, found that 18- to 25-year-olds who consider themselves adults have a better sense of their overall identity as well as of what type of person they want for a romantic partner. They are also less depressed and engage in fewer high-risk behaviors. Piano performance major Brandon K. Stewart (’06), from Fountain Valley, Calif., won the Music Teachers National Association collegiate-level music competition in Seattle on April 4. For winning the competition, Stewart got to pick out a $45,000 Steinway piano. Art history professor Martha Moffitt Peacock (BA ’78) was selected to receive the 2005 Distinguished Research Award from the BYU Women’s Research Institute. She serves as the graduate coordinator for art history and has been the advisor to 36 master’s theses, many of which have been related to women’s studies. Rebecca Wright Phillips (BA ’87) received the Research/Creative Works Award at the College of Health and Human Performance’s spring social. Since her appointment in 1994, Phillips has been one of the Dance Department’s most published and presented faculty members. Her choreographic works have been presented in main stage venues locally, nationally, and internationally. John R. Rosenberg (BA ’79) ac-cepted the appointment as dean of the College of Humanities. He will begin his five-year term immediately, replacing Van C. Gessel, who was called, with his wife, Elizabeth, to preside over the Oregon Portland Mission. A book by Jeffrey S. Nielsen, professor of philosophy, The Myth of Leadership: Creating Leaderless Organizations, was nominated for both the Independent Publishers Book Award and theForeWord Magazine Book Award. Kimberly Johnson, assistant professor of creative writing, is a 2005 recipient of the Literature Program’s Creative Writing Fellowship in Poetry, given by the National Endowment for the Arts. Allen J. Christenson (BS ’80), a professor of humanities, classics, and comparative literature, accompanied a crew from National Geographic to Guatemala; an article in the magazine titled “Descent into the Maya Underworld” recently featured Christenson. U.S. News & World Report ranked the Marriott School of Management 40th among top graduate schools in the United States. The report, “America’s Best Graduate Schools 2006,” also ranked the school’s accounting program 12th in the nation. Lynn Clark Callister (BS ’64), professor of nursing, will participate in an elite forum at Oxford University this summer. The Women’s Leadership Round Table, to be held Aug. 7–12, will be composed of 35 community and educational leaders from around the world. The National Science Foundation awarded the Department of Mathematics a three-year, $158,166 grant to set up a summer undergraduate research center. The eight-week program began June 20. Kip Sperry (BS ’70), professor of Church history and doctrine, recently published Kirtland, Ohio: A Guide to Family History and Historical Sources. Kent P. Jackson (BA ’74), professor of ancient scripture, recently published The Book of Moses and the Joseph Smith Translation Manuscripts. Stephen E. Robinson (BA ’71), professor of ancient scripture, and H. Dean Garrett (EdD ’74), professor of Church history and doctrine, recently published their third of four volumes of A Commentary on the Doctrine and Covenants through Deseret Book.